Rwandans allover the world have been worried about Kagames regime killing activities whereby Kagame uses all possible means of killing from Poison (namely known as UTUZI TWA MUNYUZA), Strangling people, Shooting, and Hammering people in the head. There are thousands of people who have been killed by KAGAME through poison one of nototrious case is LT. ABDALAH RUZIBIZA who was allegedly poisoned by his own relatives who called him INTERAHAMWE because of exposing how Kagame shot down Habyarimanas plane killing two Hutu presidents and the delegation. Now Kigali is using the undercover of Peace keeping missions in Africa to hunt down innocent refugees either living or working in those places such as haiti, Sudan, and Central Africa. Recently RPF soldiers shot dead an innocent refugee by the name of AURESTE HASINGIZWIMANA who had been living in Bangui for over 15 years after walking thousands of miles from Eastern DRC all the way to Central Africa. Kagame failed to kill him in Goma and bukavu, failed to kill him in Masisi, Walikale, Tingitingi, Kisangani, Mbandaka, now he has killed him in Central Africa. I want you wonderful and beautiful people to help me with bringing this message around the world: My wonderful brother Aureste Hasingizwimana lived as a hutu refugee in Centrafrican Republic since 1997. He had survived the genocide committed by president Paul Kagame against hutus in the refugiee's camps in Zaîre. He had survived the genocide committed by president Paul Kagame against hutu refugiees in the Jungles of the DRC. And Aureste Hasingizwimana was a great man with a great soul. He was killed in Centrafrican Republic for a few days ago by the international terrorist killer president Paul Kagame. This terrorist killer with Bill Clinton's support, he has planned and committed the genocide against hutus and against his own ethnic (tutsi) in Rwanda and in Congo. The terrorist killer president Paul Kagame has killed more than 10 million of innocent children, women and people who have nothing to do with politics. He has killed Infants, Pregnant women, sick people and old people. He has killed my family and my loved ones during the last 23 years. President Paul Kagame is happy to continue to commit crimes against humanity in Rwanda, in Congo, in South Africa, in Centrafrican Republic, in Uganda, in Burundi, in Kenya, in Mozambique, in Belgium in Norway and so on . In 2010 United Nations (UN) report accuses Rwandan troops (RDF) of committing genocide in the Congo, but since that time nothing has been done to stop Paul Kagame ‘s war crimes and crimes against humanity. No one dares to say anything about Paul Kagame’ many crimes! So my big and loved brother Aureste Hasingizwimana passed away, but we hope and we wish that now he has a better life than before. We will never forget him and he deserves my respect and my prayer so that he can rest in peace. BURUNDI: IS PRESIDENT KAGAME BREWING ANOTHER WAR IN BURUNDI AFTER FAILING TO USE PRESIDENT NKURUNZIZA TO KILL PRESIDENT KIKWETE OF TANZANIA? IN THE LAST TWO MONTHS RWANDA, BURUNDI, AND TANZANIA HAVE BEEN IN A POLITICAL MIX AFTER THE BURUNDIAN PRESIDENT NKURUNZIZA BREACHED KAGAME'S TRUST AND DEPPEST SECRET AFTER PAUL KAGAME REQUESTED NKURUNZIZA TO HELP HIM ASSASSINATE PRESIDENT JAKAYA KIKWETE. WHEN NKURUNZIZA HARD THAT HE WAS SO SHOCKED THAT THE RWANDAN PRESDENT WOULD GO TO THAT EXTEND TO KILL A PRESIDENT OF A COUNTRY THAT PUT THEM IN POWER. READERS SHOULD REMEMBER THAT TANZANIA UNDER NYERERE IS THE ONE THAT PLANNED A PSEUDO-MEETING TO ORGANIZE A CONFERENCE IN ARUSHA TO LURE PRESIDENTS HABYARIMANA AND NTARYAMIRA OF BURUNDI TO ATTEND AND GIVE OPPORTUNITY TO RPF AND US TO ASSASSINATE THE DUO. WHEN PRESIDENT NKURUNZIZA HEARD THAT RWANDAN PRESIDENT KAGAME IS PLOTTING TO KILL THE TANZNAIAN PRESIDENT KIKWETE, HE IMMEDIATELY RUSHED TO TANZNAIA TO WARN BWANA KIKWETE THAT HE MIGHT BE KILLED THE SAME WAY HABYARIMANA, NTARYAMIRA, NDADAYE, AND KABILA WERE KILLED BY KAGAME. THOSE WHO WERE PRESENT REVEALED TO KARISIMBI ONLINE THAT THOSE WHO WERE IN PRESENCE SAW THE TANZANIAN PRESIDENT SHRINK AFTER LISTENING TO THE BURUNDINA PRESIDENT BWANA NKURUNZIZA. 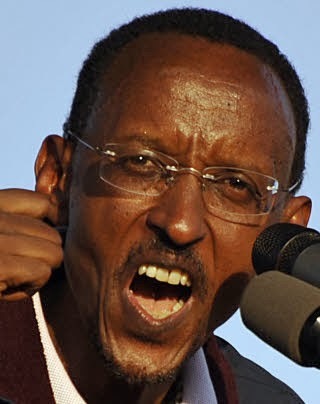 AFTER KAGAME REALIZING THAT HIS PLANS ARE FALLING APART HE IMMEDIATELY REMEMBERED THAT THERE ARE EXTREMISTS TUTSIS IN BURUNDI WHO HELPED HIM ASSAISSINATE NDADAYE AND ARE STILL ALIVE AND THEY CAN STILL HELP HIM EXCUTE HIS MISSION BY REMOVING A HUTU PRESIDENT IN BURUNDI AND PUT HIS CLOSE TUTSI ALLIES AND ASK THE WASHINGTON TO SUPPORT THEM. THIS WOULD PROVIDE HIM A CLEAR ACCESS TO TANZANIA AND SINCE TANZANIANS HAVE MANY TUTSIS WHO ARE IN ALL GOVERNMENT INSTITUTIONS FROM NYUMBAKUMI TO THE OFFICE OF PRESIDENT AND ETAT MAJOR THEN THEY CAN PROCEED WITH THE ASSASSINATION OF JAKAYA KIKWETE AND PUT ANOTHER TUTSI IN LEADERSHIP IN TANZANIA THAT WAY THE EXPANSION OF THE HIMAKINGDOM PLAN WOULD BE REALIZED FASTER AND THWART THE TANZANIAN SUPPORT TO THE RWANDAN REBELS THE FDLR. TO SHED MORE LIGHT TO THIS PLEASE CONTINUE READING BELOW. Burundian Vice President, Bernard Busokoza has disappeared and is believed to be hiding in a Western embassy in Bujumbura, sources in Bujumbura tell AfroAmerica Network. The Burundian political leader disappeared after weeks of disagreements with the current Burundian President, Pierre Nkurunziza. The disagreements had become so divisive, that the supporters of the two leaders entrenched in their position, had recently started to air their differences in social medias and bars around Bujumbura, Bururi, and Gitega . In recent days, the discussions had turned to ethnic divisions: Pierre Nkurunziza is from the Hutu ethnic majority, whereas Bernard Busokoza is from the Tutsi minority. Until the late 1990’s, the Tutsi minority had managed to dominate all the government and non-government institutions and businesses. Regular violences, including systematic massacres of Hutu intellectuals have marked the history of Burundi, since the 1960’s. 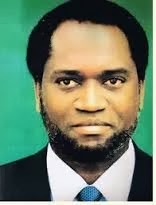 The first democratically elected Hutu president, Melchior Ndadaye, was assassinated by Tutsi military officers in 1993. 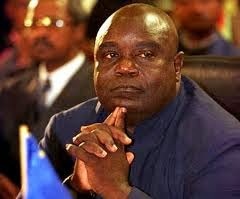 He was replaced by another Hutu, Cyprien Ntaryamira. He was also assassinated in 1994, along with Rwandan President Juvenal Habyarimana, allegedly by the Tutsis of the Rwandan Patriotic Front, now ruling Rwanda. These assassinations were followed by ethnic violences and massacres in both Burundi and Rwanda. A civil war ensued in Burundi, pitting the Hutu armed group, CNDD-FDD, against the Tutsi government of UPRONA. Negotions among the two warring parties led to the Arusha Peace Agreement, brokered by Nelson Mandela of South Africa and Julius Nyerere of Tanzania. The Arusha Agreement was aimed at finding a solution to the ethnic tensions among the two main Burundian ethnic groups: Hutu and Tutsi. Under the accord, the Government and the National Assembly were to be divided among the two groups, with the Hutu representing 60 percent and the Tutsi, 40 percent. The two groups were to equally share the Senate, the Army, and the Police. Pierre Nkurunziza became the president in August 2005 and was reelected in 2010. Bernard Busokoza was supposed to serve as the Tutsi counterbalance to the Hutu Pierre Nkurunziza. The next elections are scheduled in a bout a year and, according to the Buurndian constitution, Pierre Nkurunziza can not run again. But, the opposition, including Bernard Busokoza, have been suspecting Pierre Nkurunziza of seeking to modify the constitution so that he may run again. Pierre Nkurunziza’s supporters have been accusing Bernard Busokoza and his allies of seeking to undermine the government. 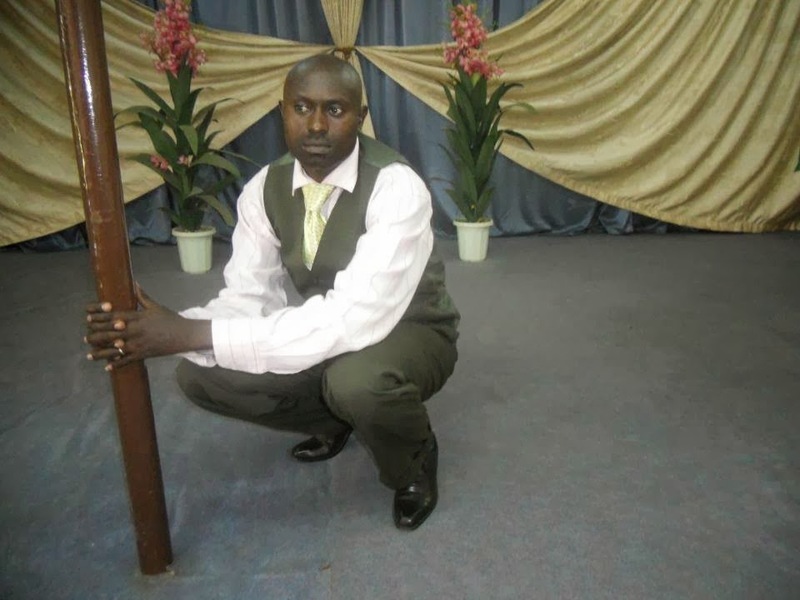 Fearing for his life, according to his supporters, Bernard Busokoza has chosen to flee. Collapse of Templates of Peace Among Ethnic Groups. Following his disappearences, three of teh most influential Tutsi within the cabinet have resigned: Communications Minister Leocadie Nihaza, Local Development Minister Jean-Claude Ndihokubwayo, and Trade Minister Victoire Ndikumana. The situation is reminiscent of what has been happening in South Sudan, where the President Salva Kiir has sought to sideline his Vice-President, Riek Machar. Like in Burundi, the two South Sudanese top leaders hail from two competing ethnic groups: the Dinka and the Neur. The conflict between the two leaders has led to a bloody civil war and the death of tens of thousand civilians. Both Burundi and South Sudan are very young democracies that were hailed as a model, to be followed by countries in the region where ethnic strife has led to the collapse of the nations and unprecedented human tragedies. The models had been put forward as a template for resolving ongoing ethnic conflicts in Rwanda, the Democratic Republic of the Congo, Central African Republic, and Uganda. The collapse of the agreement in the two countries may put a question mark on the capability of African leaders to implement such peace models. ©2014 AfroAmerica Network. All Rights Reserved. Over the recent weeks, Rwanda Defense Forces (RDF) troops have been secretly deploying along the border with Rwandan neighbor to the East, The United Republic of Tanzania, sources in Tanzania tell AfroAmerica Network. According to the sources, RDF elite forces have been digging trenches in the bushes of the Rwandan Akagera National Park and other areas in Rusumo, under the cover of the nights. “The troops become active as evenings fall, dig the trenches overnight and disappear before sunrise”, the sources added. The situation has so much worried the Tanzanian leaders that they sent a special messenger to Rwandan President Kagame, warning him about dire consequences if he continues troops buildups. 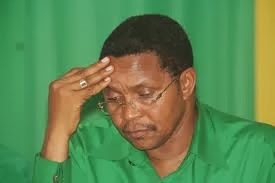 On February 8, 2014, Tanzanian President Jakaya Kikwete sent his Minister of State at the Office of the President, Professor Mark Mwandosya, to deliver a message, that sources say contained a strong language, to General Paul Kagame of Rwanda. Professor Mark Mwandosya’s delegation, that also included the Tanzania Acting Ambassador to Rwanda, Francis Mwaipaja, also met, while in Rwanda, the Rwandan Minister of State, Office of the President of Rwanda, Venantie Tugireyezu and Minister of Foreign Affairs, Louise Mushikiwabo. A few days earlier, Francis Mwaipaja, had published an open letter, accusing Rwandan media close to the government of seeking to undermine the diplomatic relations between Tanzanian and Rwandan governments. 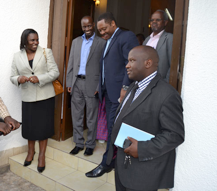 The Rwandan government funded media, including News of Rwanda and New Times, had published articles alleging that Rwandan opposition leaders had travelled to Tanzania, invited by the Tanzanian Government, and met the Tanzanian President Jakaya Kikwete. According to AfroAmerica Network sources, some Rwandan oppositions did travel to Tanzania, on their own and with business visas, but did not meet Tanzanian government officials. Sources close to Rwandan government confirmed the content of the strong message by the Tanzanian Government to General Paul Kagame. According to the sources, the Tanzanian government delegation warned General Paul Kagame against further troops buildup along the border and asked that those already there be redeplayed far from the border. “The Tanzanian government will not stand idle if the Rwandan troops are not redeployed,” the sources say Professor Mark Mwandosya warned the Rwandan government. According to the sources both in Tanzania and in Rwanda, it appears that if Rwandan Government does not redeploy its troops and the tension escalates, the region may soon find itself yet in an another war, pitting General Paul Kagame’s troops against troops of a neighboring state. Thousand Hills Nation Need Democracy and Accountability. Picture Window theme. Powered by Blogger.